If you own a 2012-2017 Subaru WRX or WRX STI with an EJ25 2.5-liter turbo engine, you could have an issue with engine failure. A class action lawsuit was filed against Subaru of America (SOA) because of a defect within the engine manufacturing which could lead to premature engine failure. 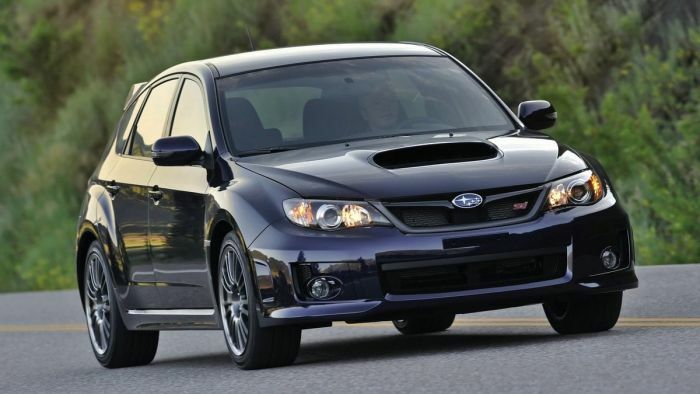 It was settled by the Camden, N.J. automaker recently, and the suit estimates the number of WRX/STI owners effected could number more than 100,000. What should you do if you own a 2012-2017 Subaru WRX/STI? The settled lawsuit contends the problem in the WRX/STI 2.5-liter engine was caused by “inadequate oil lubrication to the bearings and crankshaft” causing “sudden and catastrophic engine self-destruction as overheated internal parts seize” and by “severe driving conditions.” If your EJ25 engine fails in your WRX or STI, it could cost you $6,000 or more to get your 2.5-liter turbo Boxer engine repaired. The recent settlement allows for WRX/STI owners to receive from $3,500 up to $6,500 if they had this problem and if they got it repaired at an independent repair shop, but you must produce your receipts. WRX/STI owners who had engine repairs made at an authorized Subaru dealer can get 100% reimbursement for out-of-pocket expenses. Subaru is also extending the powertrain warranty up to an additional eight years on 2012-2017 model years or up to 100,000 miles. Anyone who leased or purchased a 2012-2017 Subaru Impreza WRX or WRX STI with an EJ-series 2.5-liter turbocharged engine is eligible to get these settlement benefits. Your WRX/STI must be manufactured between October 11, 2011, and November 16, 2016, with bearing vehicle identification numbers (VIN) ending with CG203168 and up for 5-door models, and CG006225 through H9826807 for 4- door models. What should WRX/STI owners do? Owners can file a claim here and it must be done by May 22, 2019. You are not required to submit a claim form to receive the benefit of the 8 year/100,000 mile extended warranty. 2012-2017 WRX/STI owners are automatically eligible. It would also be a good idea if you own a 2012-2017 Subaru WRX or STI with the EJ25 2.5-liter engine, to make an appointment with your Subaru dealer to get it checked out. Your engine may not have failed, but one way to determine if you could be having a problem is if you begin to experience a slight decrease in power which could be a sign of major issues ahead. Any chance it extent to Forester xt or other xt models? Does this cover UK / European spec STi's? How about the 2008-2010 cars? ?